Man, I think I fell in love again. 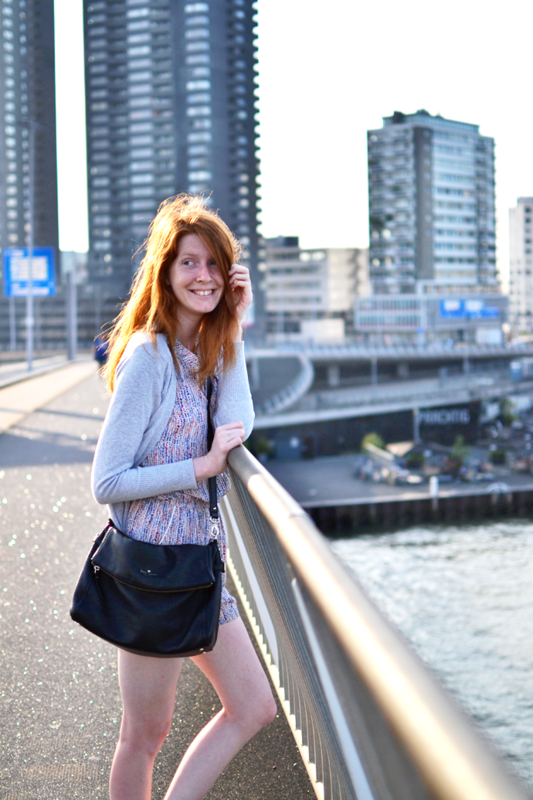 Rotterdam, or as I like to call it “New York by De Nieuwe Maas”, had been on top of my travel list for a long time. I don’t know why I’ve never went there before, because the city has SO much to offer and is super easy to reach. Being only 70 kilometers from my home town, we can drive to Rotterdam in less than an hour! That’s closer than Brussels, not that I’ve been in Brussels that much… . 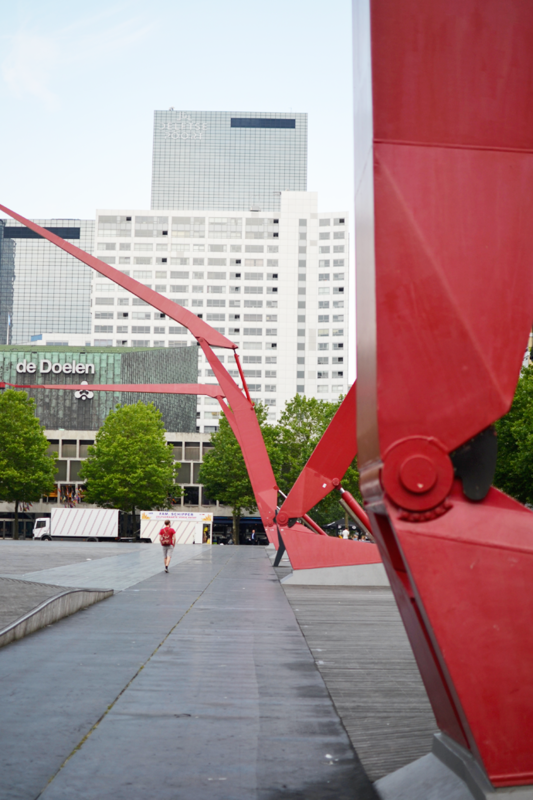 Our original travel schedule included a day in Den Haag, then Rotterdam and then on to Zeeland, but because my to-do list for Rotterdam grew so endlessly long, we decided to book a hotel in Rotterdam and dropped Den Haag from our schedule. I’ve written a separate blog post about my list of hotspots and our hotel, so you’ll have to come back for that another day (probably next Monday). 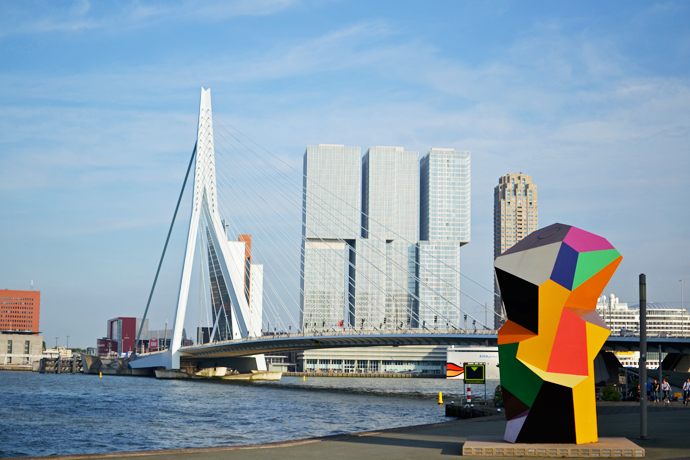 In this post I want to share a few first sights of Rotterdam and all of its pretty places. 1. The Rotterdam skyline reminds me of New York. A little less skyscrapers, but almost just as impressive. 2. 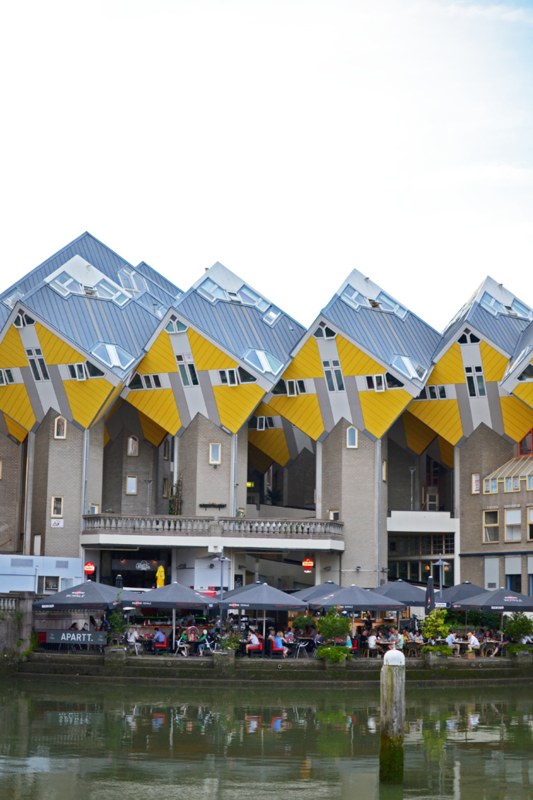 The Cube Houses were designed by Piet Blom were the first things we saw as we left Blaak station. Just next to them is that other architectural wonder piece Blaaktoren or “The Pencil” as it looks like a…well, pencil. After trying to decide whether we liked or disliked these funky design buildings we went into the Markthal across the square to grab a quick bite to eat. 3. 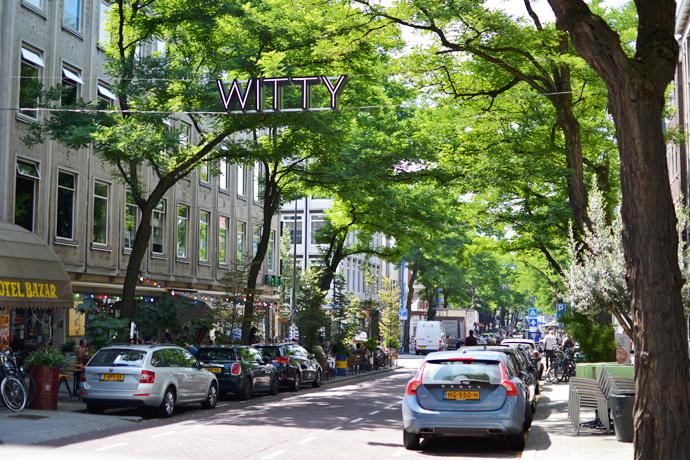 The Witte de Withstraat is buzzing with life in the evenings, as many of Rotterdam’s well know restaurants are here. During the day the street is quite a lovely sight, with the trees lined uo nicely and the artistic letters hung up on buildings and between the trees. 4. 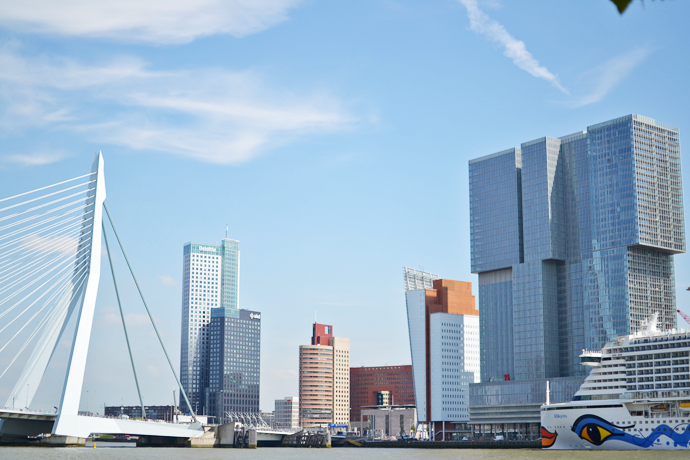 Enjoying the Rotterdam skyline, Erasmus Bridge and the view on Kop van Zuid from the opposite side of the river. It was blazing hot that day, so it was nice to cool down on a bench near the river and have this amazing view! 5. 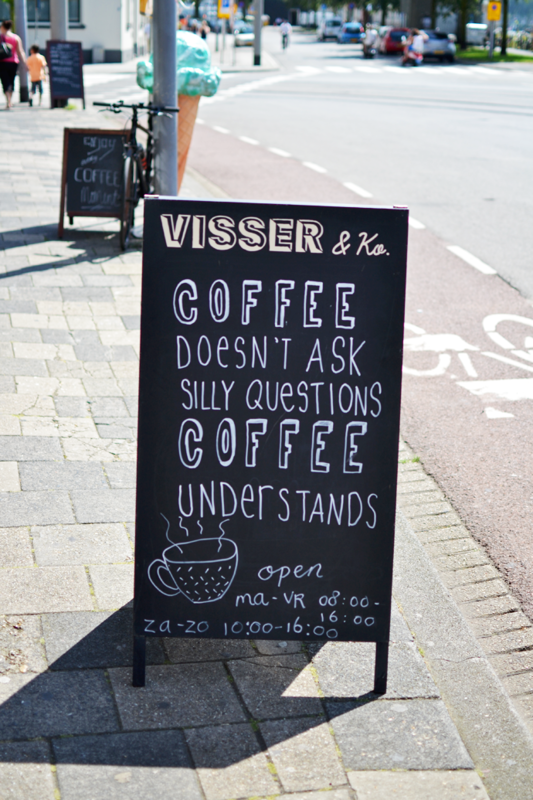 Because bloggers know that you always have to snap a picture of a coffee quote… Did not visit Visser & Ko because it was 35°C outside, but it is highly recommended from what I gathered on Instagram! 6. Golden hour setting in over the Erasmus bridge. We decided to go on a walk around the northern island after dinner and got to enjoy a perfect golden sunset. 7. My boyfriend took this picture and because other tourists thought that he did such a great job he was asked to snap pictures for them too. He absolutely hates being my photographer, haha. 8. Across the Erasmus bridge lie giant white stones where you can relax on and watch the sun go down. Exactly what we did! 9. 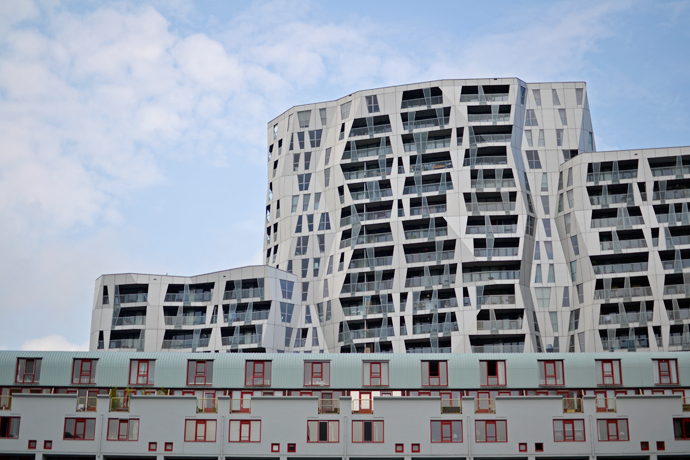 Yes, I took too many photos of the cube houses. I found them very peculiar and funny-looking, so I had to. This photo was taken from the old harbor. 10. 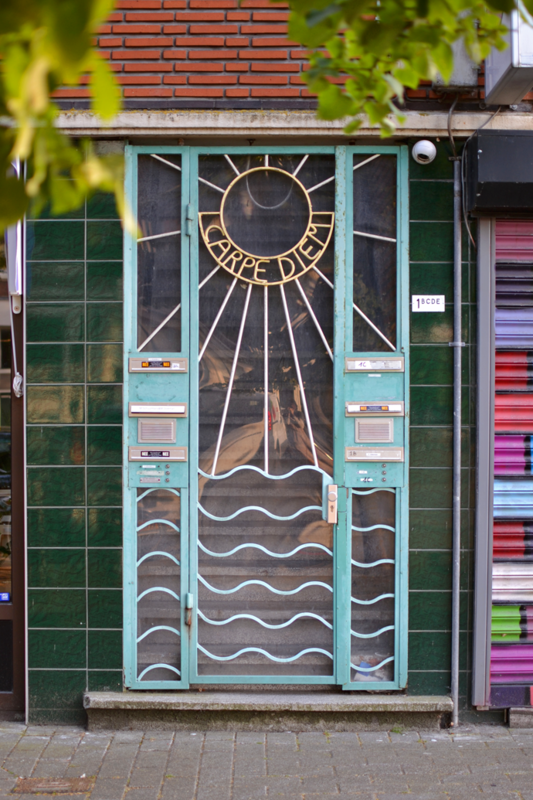 Fancy pants door on the norther island, just because. 11. 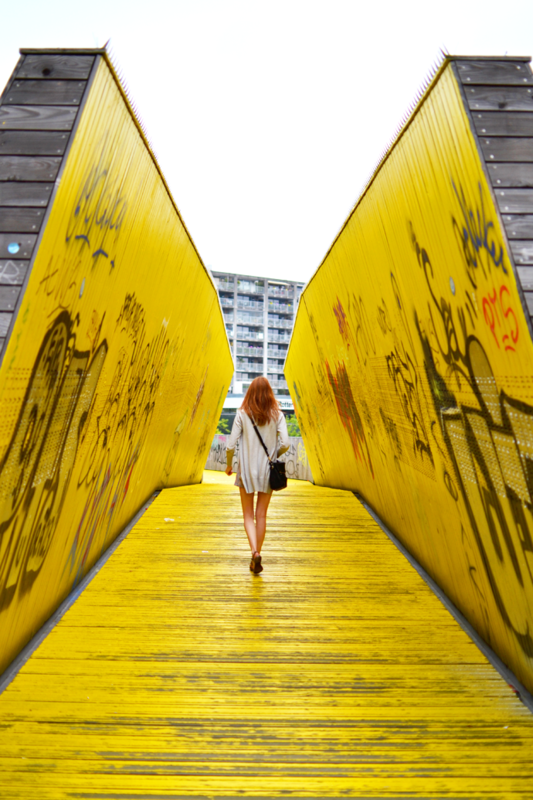 Rotterdam has its own version of the New York High Line and we thought we’d check it out. The project is not finished yet, but it’s nonetheless fun to roam around the pathways and see the poems and graffiti all around. The old station that lies beneath it is being rebuild as a n urban garden + space for restaurants et cetera. It’s looking very promising! 12-13. These are from the Theater Square. If you look closely at the last picture you can see my boyfriend K walking in his red T-shirt. It matches the pillars, so for once I don’t mind him walking mindlessly into my picture frame. Rotterdam looks amazing! 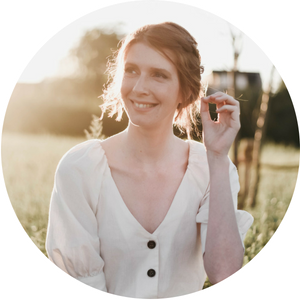 I was looking at staying there when we were planning to visit the tulip fields earlier this year (which sadly never happened – I’m still holding out for next year though ahha). The architecture is amazing! It sounds like you had a lovely time there! You got so many beautiful shots! 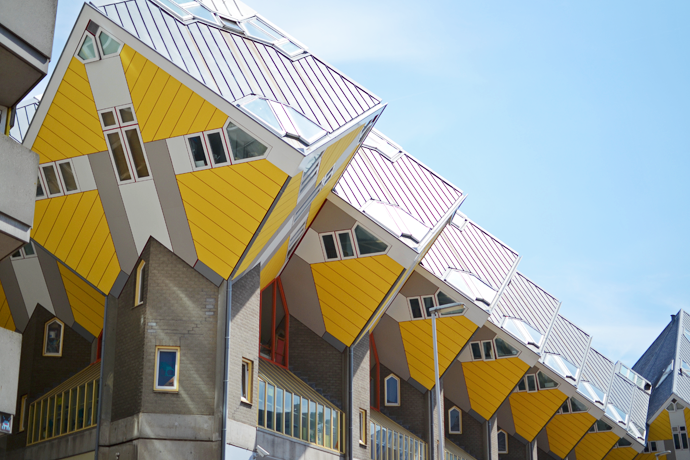 Those cube houses are so interesting, we have nothing like that in Brisbane!